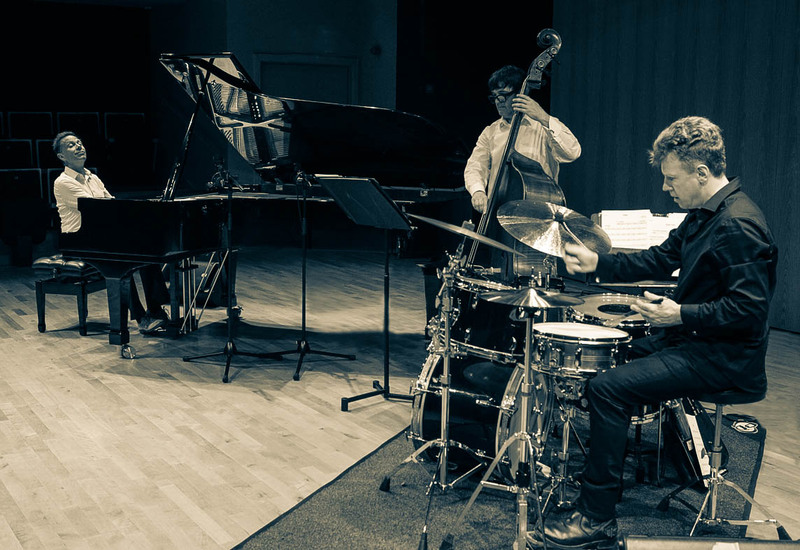 The Dominic Alldis Trio features pianist Dominic Alldis, double bass player Andrew Cleyndert and drummer Martin France. Following in the tradition of the hugely popular Jacques Loussier Trio, Dave Brubeck Quartet and Modern Jazz Quartet, we aim to bring a fresh and contemporary approach to famous themes from classical music and opera. Our concerts appeal to both classical and jazz audiences who enjoy chamber music and appreciate the timeless art of improvisation. The trio has played at the South Bank Centre, Elgar Room, Pizza Express Jazz Club, Dulwich Picture Gallery, Athenaeum Club, Birley Arts Centre, Chelsea Arts Club, Clapham Omnibus, The Forge, London Jazz Festival, Mayfield Festival, Newbury Spring Festival, Menuhin Hall, Cranleigh School, Amersham Festival, Oundle Festival, Riverhouse Barn, The Stables and St. James's Piccadilly, as well as the Ashford Music Society, Berkhamsted Jazz Club, Chipping Sodbury Music Society, Dumfries Music Club, Leighton Buzzard Music Club, Moffat Music Society and Sutton Valance Music Society. • You can view a promotional video on YouTube. • You can hear an audio excerpt featuring themes by Donizetti, Chopin & Bach on Soundcloud. • Our next concert is a free lunchtime concert at St. James’s Church, Piccadilly in London on Friday 30th November 2018. • The trio are Selected Artists in the 2019-20 Concert Promoters Guide. The trio was fantastic... a totally new perspective on classical pieces I had been listening to for years.